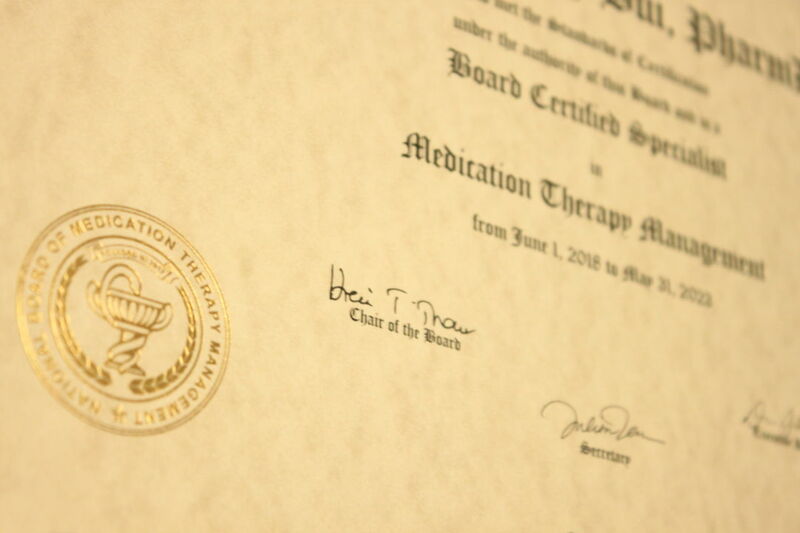 The National Board of Medication Therapy Management (NBMTM) is the only accrediting body specifically for MTM certification. The NBMTM, an independent, 501(c)(3) nonprofit organization, is a board certifying body that administers MTM certification examinations, as well as continuous certification requirements. The following stages represent key milestones in the process to obtain Board Certification in Medication Therapy Management. Once board eligible, schedule your exam appointment. Upon passing this extensive examination process you will be awarded Board Certification. Professional Opportunities. A board certified medication therapy management specialist (BCMTMS™) is a professional distinction that the healthcare industry demands and employers and consumers expect. Career Advancement . A board certified medication therapy management specialist (BCMTMS™) has the knowledge, expertise and professional experience needed to serve patients in the emerging models of care and patients with complex health challenges. Increased Credibility. 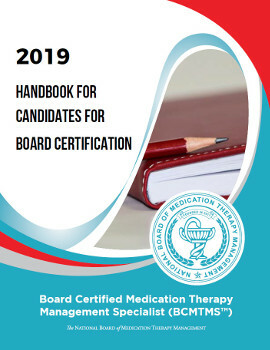 A board certified medication therapy management specialist (BCMTMS™) ensures the competency to practice independently, promote quality and safety and protect the public. Maintain a current, valid pharmacist license. Power-Pak C.E.® Certificate Program in Medication Therapy Management. Read more. APhA’s Delivering Medication Therapy Management Services Certificate Training Program. Read more. 4 hours to complete exam. 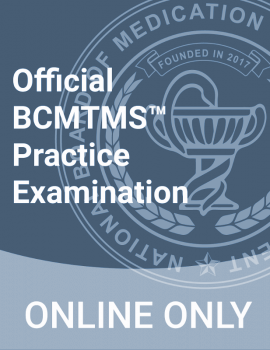 The online BCMTMS™ practice exam consists of 15 multiple-choice items. Questions are written by the developers of the actual BCMTMS™ exam. The practice exam is free. It can be taken as many times as you want. Accessing and using the myNBMTM portal. Registering and scheduling the exam.